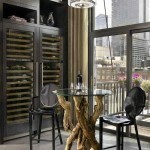 Side by side refrigerators have been somewhat left behind when it comes to styling. French doors get all the fancy new gadgets these days. 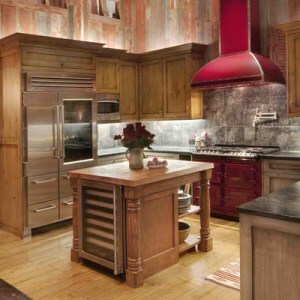 But not to be outdone in 2013, here are a few stylish side by side refrigerators that bring their own unique look to the kitchen. 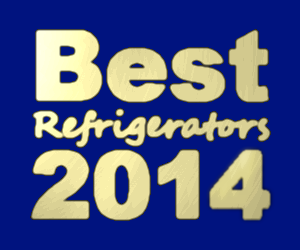 Side by side refrigerators look a lot like what you would’ve found in the past. 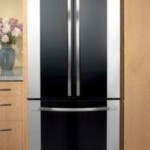 The side by side style is one of the more classic ones, so outside a new color of LED light, or style of handle, these refrigerators and their designs generally stay the same. 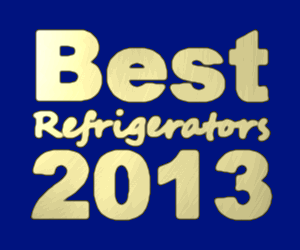 A counter depth fridge from the 500 series with the model number B22CS50SNW is right on trend for 2013. This refrigerator doesn’t have a lot of contouring on the door. Most white or black appliances will have custom panels but this one is still current. It has stainless accents on the handles and the icemaker instead of being color matched. Usually when adding a panel to a refrigerator you deal with a cabinet maker instead of the manufacturer. With this refrigerator you have lots of options. It’s rare to find a red or blue refrigerator but this one has two of each. You may pay slightly more for the custom colors. I think the gray tones are interesting if you don’t want to deal with cleaning stainless all the time. The other tones are pretty modern and bold. The Viking VCSB isn’t just nice to look at either, it is packed with a lot of technology like ProChill™, Overdrive™, Odor Eliminator™, Plasmacluster™, Cold Zone™ and Humidity Zone™. 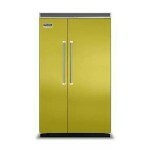 This Liebherr refrigerator has five different temperature zones and three BioFresh safes. It’s illuminated by LEDs on the interior. 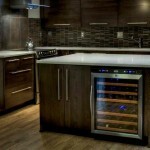 It can hold 34 wine bottles and there is glass over this zone. Since the freezer is only 4.5 cu. ft. though it may not suit how everyone shops. This is a stainless steel wrap fridge but it’s unique in that it has a full length glass door. Usually glass doors are on French door styles. Since there are drawers underneath there will just be a small fraction of glass on the upper door. 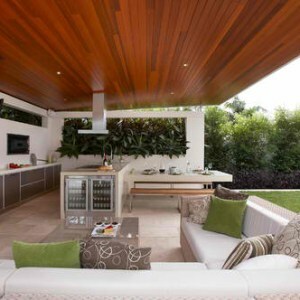 The side by side glass door is long and elegant in comparison. The capacity of the Northland fridge is fairly large at 30.3 as well. It’s nice to see that the side by side configuration is becoming popular again. Most of the popular models for 2013 feature a built-in design and glass doors or unique handles.